But one shouldn’t always think in sterotypes, as there are endless reasons for becoming homeless and there are many categories. ETHOS typifies homeless people according to their living situation. Migrants, for instance, with an unclear status, are homeless. In the last 12 years, 560 applications for asylum were approved in Croatia – this is what we learned in the afternoon at the NGO JSR. Women who have left their home because of domestic violence and have found short term accommodation in a shelter are also considered homeless. rauen, die wegen häuslicher Gewalt ihre Wohnung verlassen haben und kurzfristig in einer Schutzeinrichtung beherbergt sind und in Frauenhäusern untergebracht werden sind ebenfalls von Wohnungslosigkeit betroffen. It is also the case with compusory clearing. 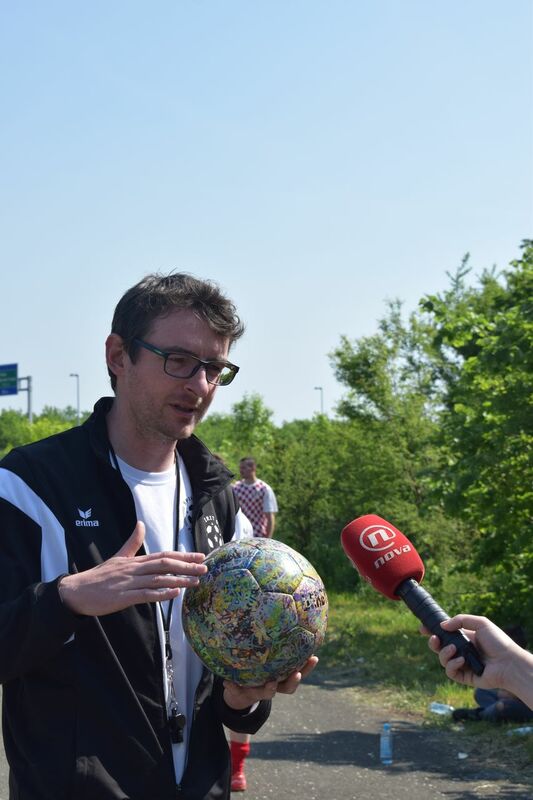 Instead of pejudging peope, you can help them by offering them temporary niches in life or perspectives, as do aour project partners from the organisations Hrvatska mreža za beskućnikee (Network for Homeless), MOST or JRS (Jesuit Refugee Service). Football brings variety, fun and team spirit to an otherwise drab every-day routine. Football is an incentive to find work and to live according to rules. 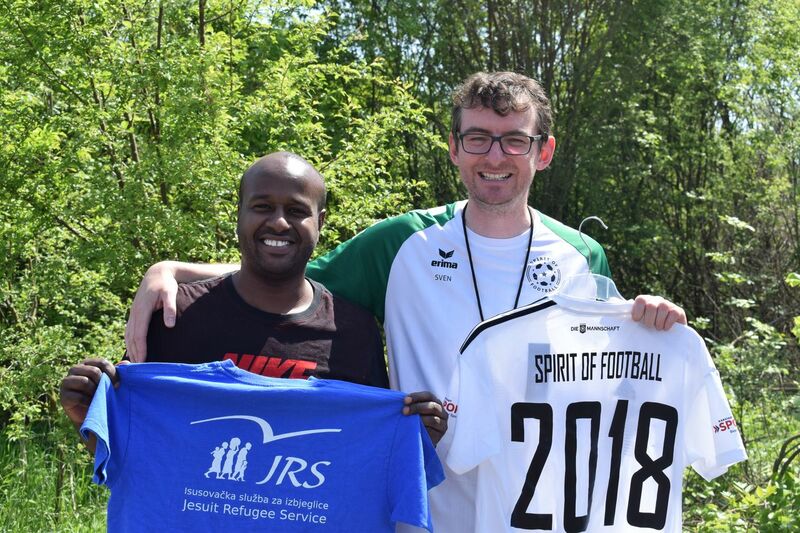 The Homeless Team, which will participate in the World Cup in Mexico, is playing fair play football with a group of football-enthusiastic migrants, who are supported by the organisation JRS Jesuit Refugee Service. 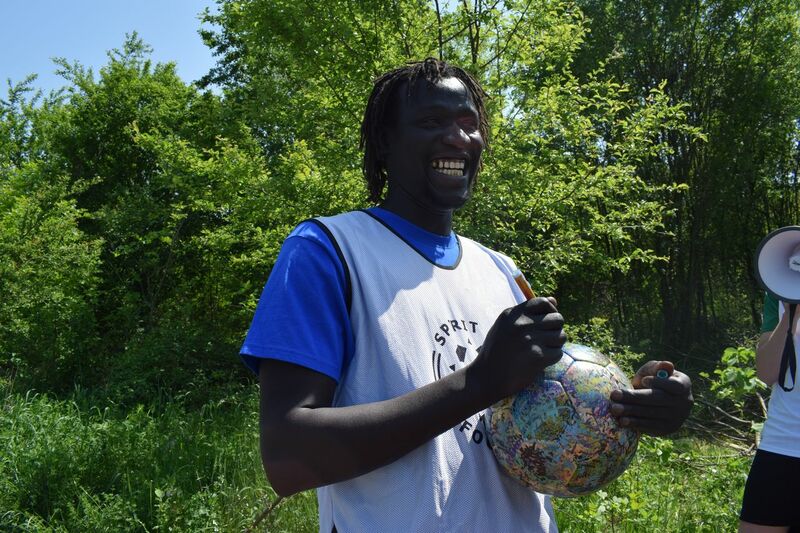 the JRS is a non governmental organization, which helps migrants with their asylum-seeking processes and their every-day life in Zagreb. At first we are a bit sceptical: a cement playing field. The sun is really hot. 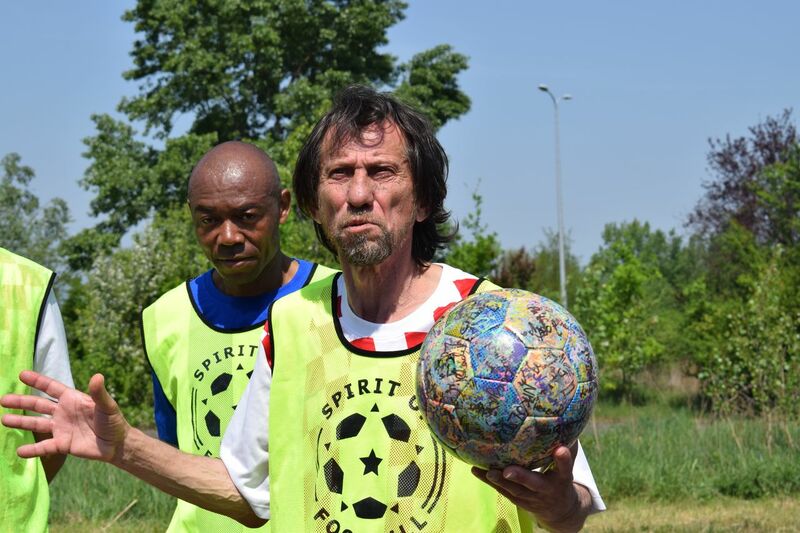 Everyone seems keen on aggressive kicking around… Ivan, our project partner of the NGO Hrvatska mreža za beskućnikee had explained, that it could get a bit rough, since everyone is focussed on winning and pushing through. After the first rounds of play amongst themselves, this is confirmed. 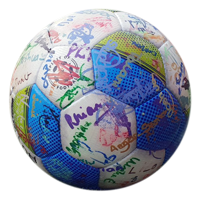 But thanks to our fair-play rules and our present of a special playing method for the participants, we manage to reach and convince them. 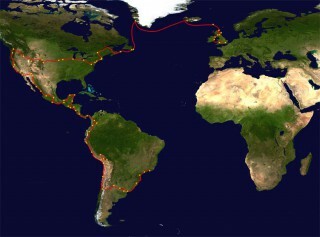 It was a nice change for them to their normal routine and they welcomed us very warmly. I interviewed some of them, took pictures and videos and they felt special because of it. In the Homeless Team, a woman stood in the goal, which fascinated me. She threw herself on the ball and really put herself in there for her team. She was very good, and yet she is often left out of the game by the trainer. Which is where we get back to the subject of limit(ation)s. At times they seem insurmountable, She has learned to assert herself, but only up to the limit which is set to her by her environment. She had a lot of fun with our methods and was grateful for our positive motivation. At times it needs impulses, motivation and hope for possible changes. This post is filed under Croatia. You can follow any responses to this post through the RSS 2.0 feed. You can leave a response, or trackback from your own site.